The Galapagos offer divers an incredible range of marine life. 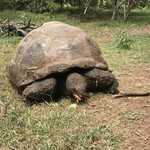 A visit to the Galapagos can be a life-changing experience, as it was for Charles Darwin in the 1830s. This archipelago inspired his Theory of Evolution that revolutionized the way we humans think about our species and the entire ecosystem. Nowhere else in the world can you encounter so many creatures with little fear of humans, the legacy of few natural predators on the islands. The Humboldt Current is what really makes the archipelago unique and the reason why you find penguins here on the Equator. The cool waters bring an incredible diversity of marine life to the Galapagos and with them a wealth of wonderful diving experiences. The Galapagos offers diving to suit all levels but it’s important to note that many of the most spectacular sites are off limits for beginners. You will, of course, need your PADI Open Water certificate or equivalent qualification as a minimum to dive here. 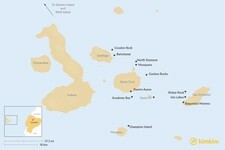 It’s possible to learn to dive in the Galapagos but preferable to arrive already qualified. The two options for divers are to stay on a dedicated liveaboard dive boat or stay in hotels and take day trips. The advantage of Liveaboards is that you can see far more of the archipelago, including remote areas such as Fernandina, Darwin, and Wolf. These tours are more expensive and get booked up in advance as numbers are strictly limited. They are also restricted to divers so not appropriate if you're traveling with a non-diving partner. 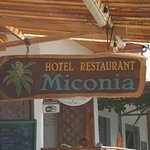 Staying in hotels and doing day trips gives you more freedom in some ways but restricts you to areas within easy reach of Puerto Ayora in Santa Cruz and Baquerizo Moreno in San Cristobal. However, there are more than a dozen of these day trips to choose from. 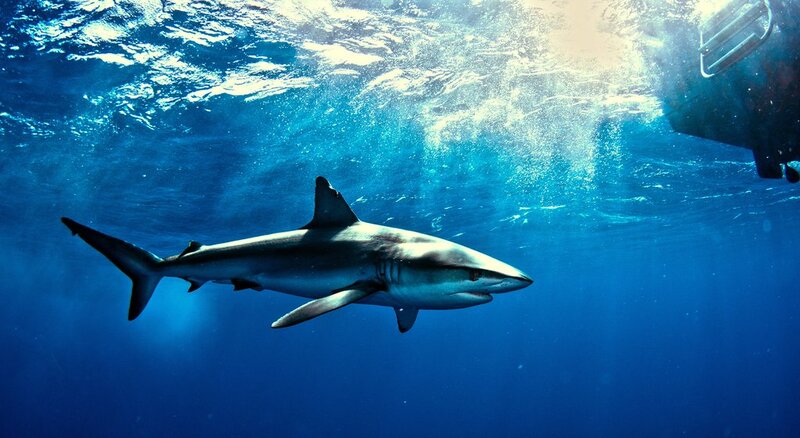 Shark spotting is common in the Galapagos, particularly in the cooler season. The Galapagos has two distinct seasons. The warmer, rainy season runs December to May with water temperatures typically 68°F to 82°F (20°C to 28°C), but rainfall is relatively light and more prevalent in the highlands. This is also the busier high season with higher prices, particularly during Christmas, Carnival and Easter. The cooler, drier season runs June to November with water temperatures often a colder 59°F to 72°F (15°C to 22°C), while increasingly rough seas make diving more challenging. It is far more comfortable diving and snorkeling in the warmer season when seas are calmer, but often there is even more plentiful marine life in the cooler season. The easiest site is Academy Bay in Puerto Ayora, mainly used for absolute beginners. For more varied wildlife take a day trip to the small island of Santa Fé where there are stingrays, turtles, sea lions and reef sharks. Other good options for beginners include drift dives with reef sharks at North Seymour and Mosquera. 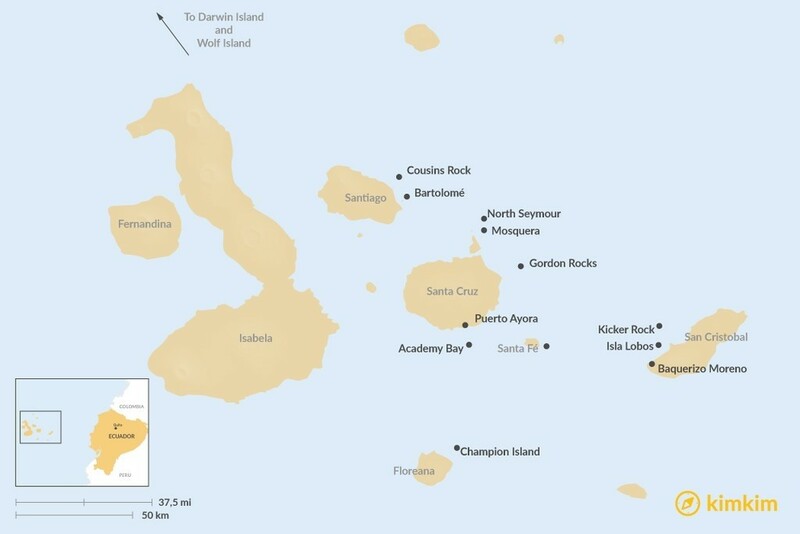 Highlights of the three sites on Floreana include diving with a sea lion colony at Champion Island. Kicker Rock is a great place to spot hammerhead sharks. A highlight of a visit to the southern island of San Cristobal is the towering Kicker Rock (also known as Sleeping Lion), an excellent spot to see hammerheads and other sharks. 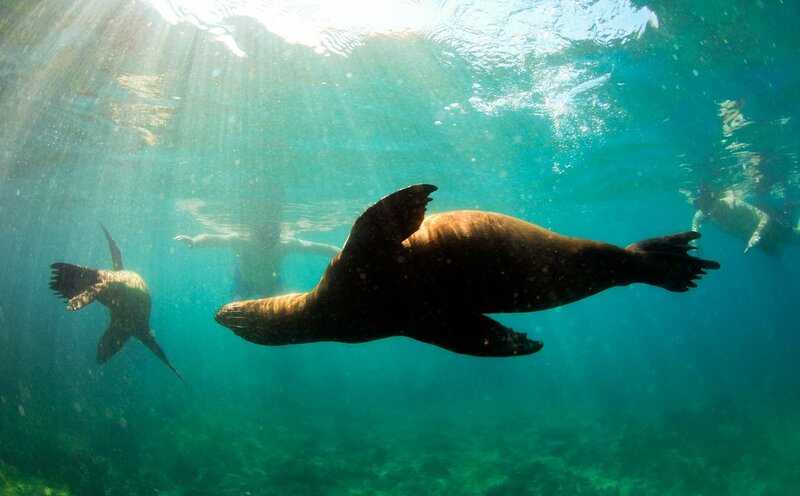 This trip is often combined with snorkeling or diving with sea lions at Isla Lobos. There are several interesting sites around the island of Santiago, and the best known is the intermediate diving at Cousins Rock, which has a series of ledges and overhangs and a vast range of species including sharks, rays, and seals. 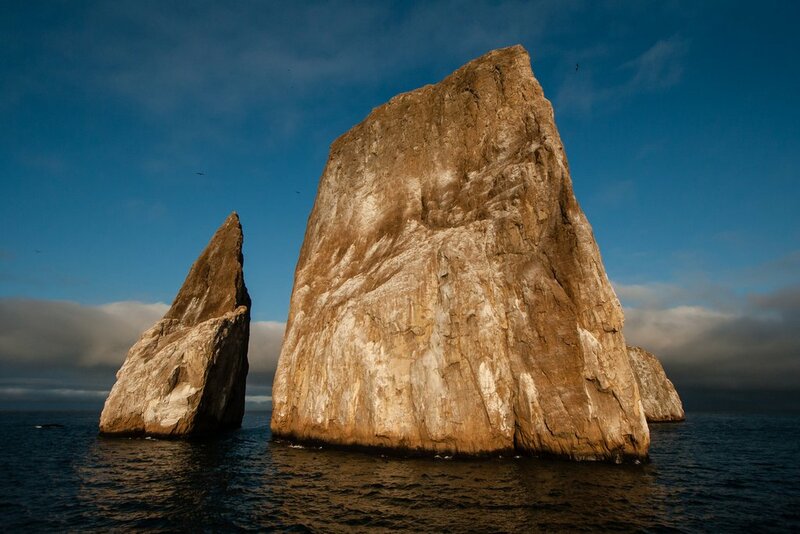 A tour is often combined with the amazing rock formations at Bartolomé, with its population of penguins. Of the many dive sites available on day trips from Puerto Ayora, one of the more challenging is Gordon Rocks, which requires experience of 25-30 dives due to its strong currents. This extinct volcanic crater has three pinnacles and is famous for its schools of hammerhead sharks. Some of the best and most difficult diving in the archipelago is found off the remote, northernmost islands of Darwin and Wolf, only reachable on liveaboard cruises. Schools of hammerheads can be seen here, and gigantic whale sharks cruise slowly from June to November. There are often bottlenose dolphins at Darwin’s Arch. Sea lions swimming near snorkelers in the Galapagos. A close encounter with sea lions can be a highlight of your trip because the pups especially delight in playing with snorkelers and divers. See them sprawling on the rocks and then swimming acrobatically in the ocean. Give the larger males a wide berth though as they can be occasionally aggressive. This hybrid species is the only seafaring lizard in the world and has evolved to survive by diving under the sea to eat algae. They can dive more than 12 meters below the surface before warming up on the rocks. The four species of sea turtles are usually seen swimming alone or in pairs. They grow up to 1.2 meters long and feed mainly on seaweed, often resting on the seabed. Mating season from November to January is the best time to see them, after which they come ashore to lay eggs, burying them in the sand to evade predators. 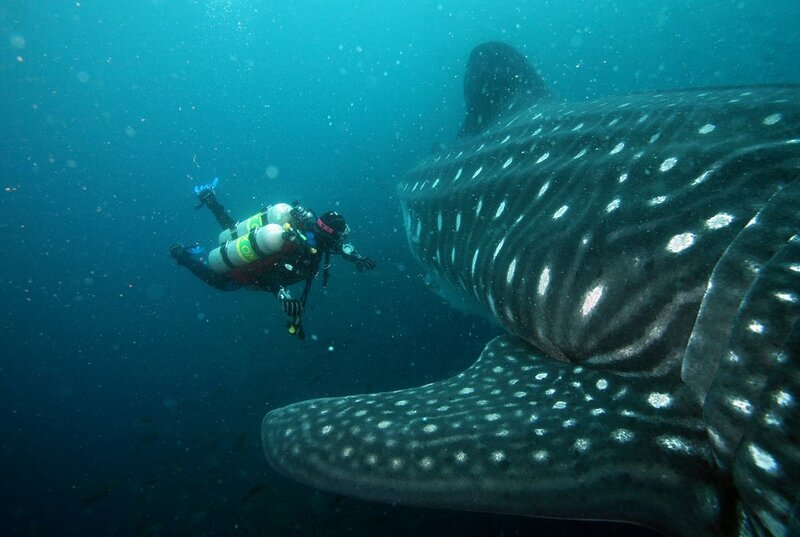 Scuba diver approaching a whale shark in the Galapagos. 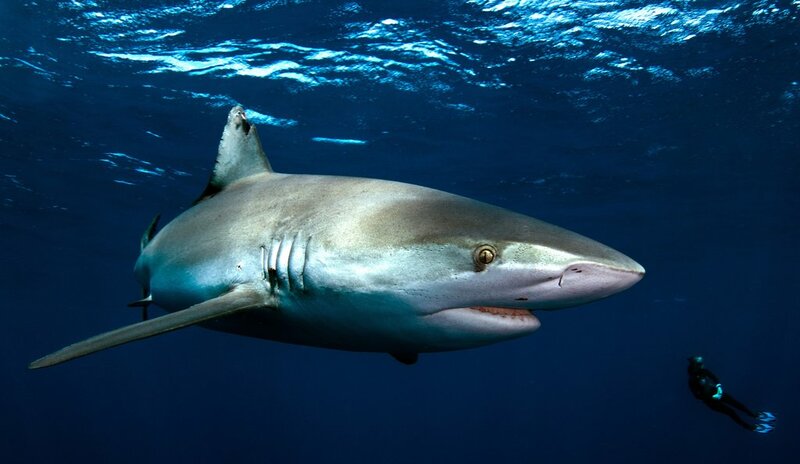 Most shark species in the Galapagos are harmless to humans and you’ll most commonly see white-tipped and black-tipped sharks resting under rocks and swimming close to shore. The scarier looking hammerheads are commonly encountered on dives. 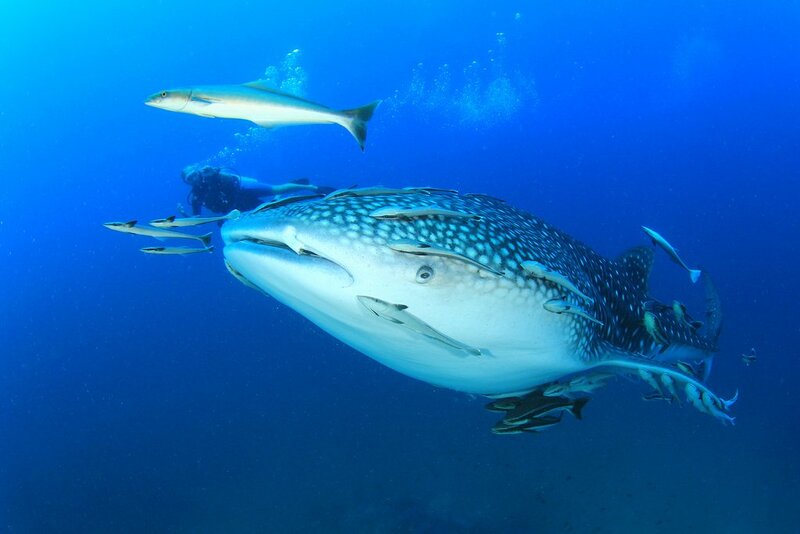 The largest shark in the archipelago is the huge whale shark, up to 20 meters long, found off Darwin and Wolf between June and November. The archipelago is filled with different species of rays. The most common are stingrays, so take care not to get too close as they are named for good reason. More spectacular are the brightly colored golden rays; the rare, spotted eagle rays stay in deeper waters and the incredible manta rays grow up to six meters across. While birdlife can be well-observed on land – frigatebirds inflating their red chests to the size of a basketball and blue-footed boobies dancing around – they are amazing to watch underwater too. Seeing birds dive bombing the ocean and catching fish near the surface is a highlight, as are the penguins, one of the smallest species in the world and the only species found this far north. 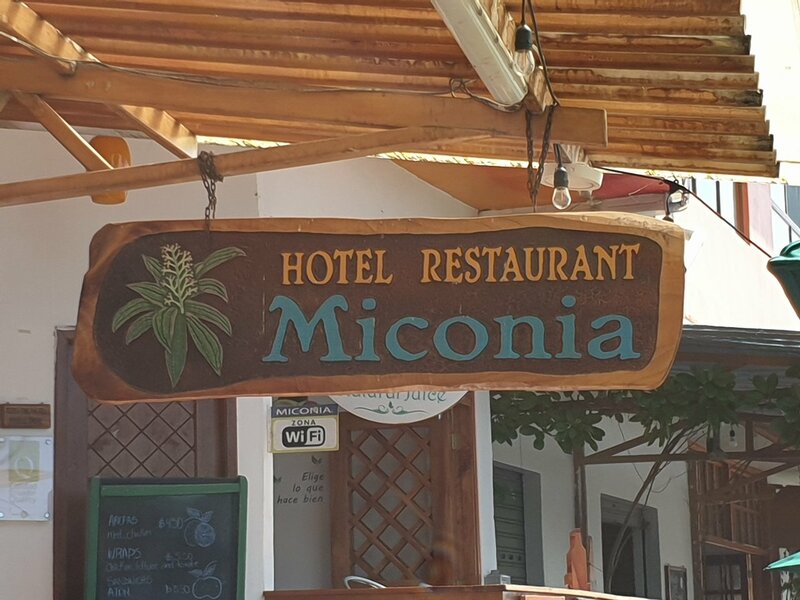 Linda was absolutely amazing and put together the ideal itinerary for us which turned out to be the trip of a lifetime! Not only was she there for all the preparation and planning but when we arrived she was a total star in sorting out lost luggage, making sure we were ok, and even tracking down a lost pair of glasses that caught up with us by high speed boat just before we were about to leave. 5 stars is just not enough, Linda really was a life saver! I highly recommend Linda and Kim Kim, absolutely brilliant!